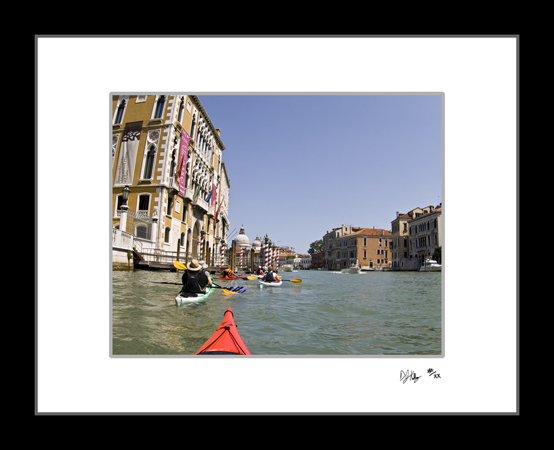 This fine art print captures kayaks on the grand canal in Venice, Italy. While the city's canals are full of boats, seeing kayaks on the canals is an unusual sight. These brightly colored kayaks glided down the canals silently and contrasted the muted colors of the old buildings. I actually took this photograph from one of the kayaks.